WELCOME TO LIFE AT THE LODGE. 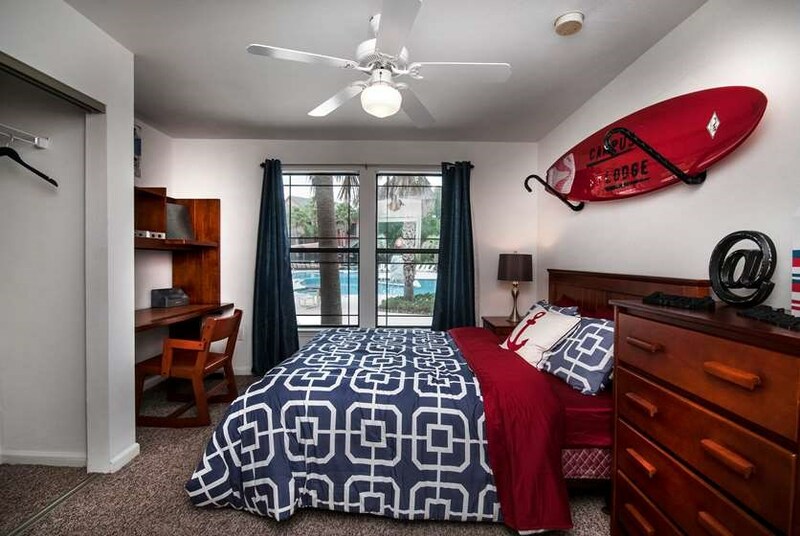 Campus Lodge offers 2, 3, and 4-bedroom apartments leased by the bedroom near the University of South Florida and Hillsborough Community College. 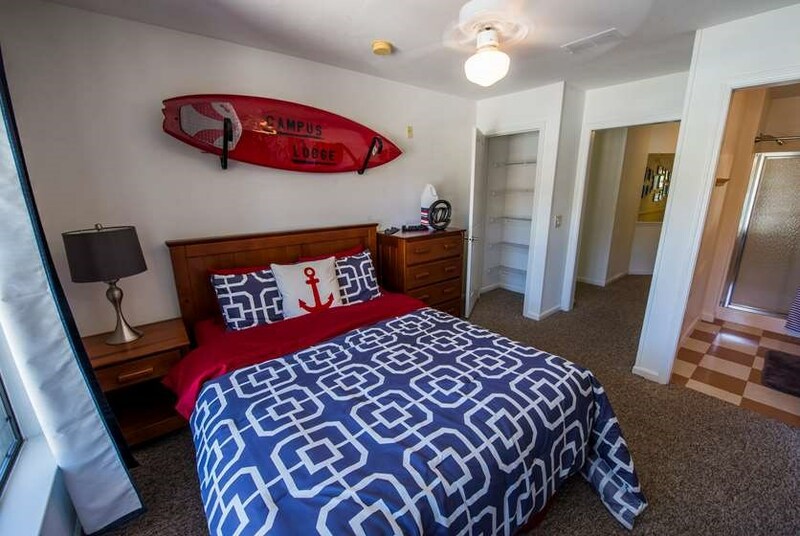 With a unique lodge-themed style and design perfect for students, Campus Lodge living is unlike anything you have seen before! This community delivers high-value for students looking for apartments in Tampa with large floor plans and a wide variety of amenities, all at a great low price. These pet friendly apartments feature fully furnished private bedrooms with en-suite bathrooms, and huge laundry rooms with a washer and dryer surrounded by community amenities like a lagoon-style pool and chalet-style clubhouse. Schedule a tour to see for yourself what Lodge Life is all about! Solid wood, "college-proof" furniture is included in common areas and bedrooms, with queen sized beds and a TV in the common area! Private bedroom suites with XL closets and private attached bathrooms. 6" quiet walls and individually keyed solid wood bedroom doors allow for added privacy. We've sent your message off to Campus Lodge Apartments. If you'd like to chat with the staff immediately, feel free to call them at (813) 699-5147. If you would like to chat with the Campus Lodge Apartments staff before your tour, you can call them at (813) 699-5147. We're checking availability for you now! Someone from the leasing team will contact you shortly. Meanwhile, please feel free to call Campus Lodge Apartments at (813) 699-5147.